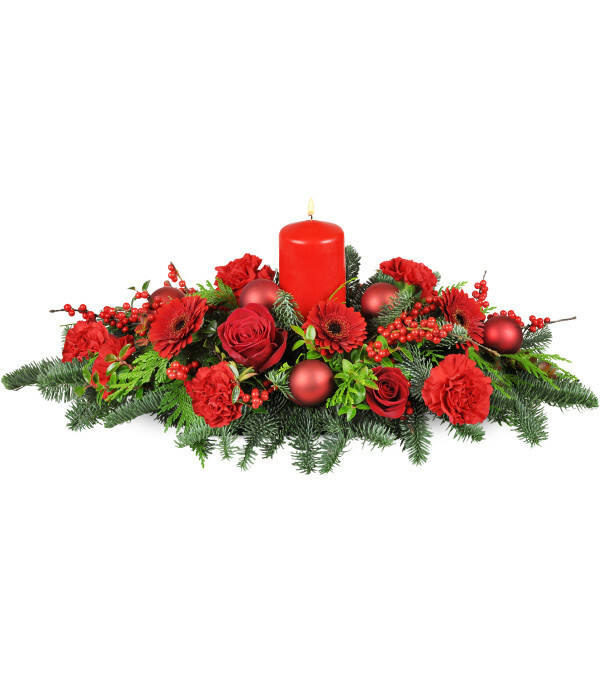 You've already trimmed the tree - now, add even more holiday cheer with our stunning all-red centerpiece, bursting with blooms! 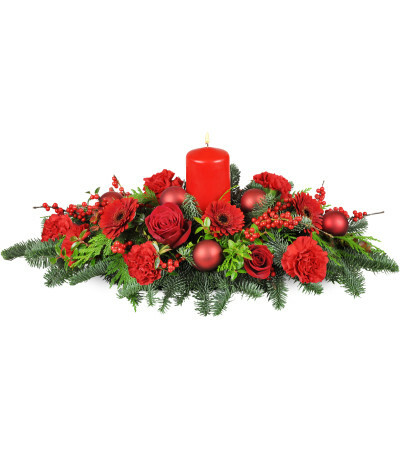 Red roses and seasonal red ilex berries are merry and elegant, and red holiday baubles add an extra festive touch. Centered with a large, long-lasting red pillar candle, it's sure to be the hit of the party! 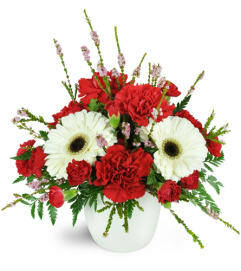 A bounty of cheery red blooms are on full display with mini Gerbera daisies, ilex berries, holiday pine, and more. Also included are reusable red holiday baubles and a red pillar candle! Please note that Standard does not include roses. Beautiful flowers. Easy ordering and same day free delivery in Shippensburg. 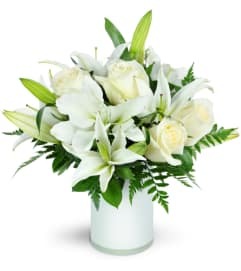 Good prices for the arrangements. 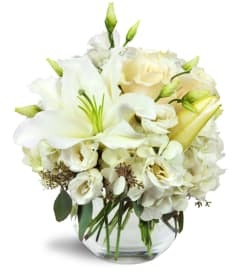 This is the best service in buying floral arrangements I've ever had!! A last min change , I was stuck with no flowers! I literally walked in, told them what happened and 10 min later- on a friday afternoon- i walked out with an arrangement that my kid loved!! Definitely recommend! !